On Friday November 23 November David Bishop, General Manager Atlas Professionals New Zealand, and Geoff Hitchcock, Commercial Manager Taranaki Rugby, handed over a $9,203.20 cheque to Suzy Allen of Taranaki Retreat, a suicide prevention initiative providing support through a residential retreat and community outreach programme. The grant total is the result of the Points for Charity Programme initiated by Atlas. As a part of this year’s major sponsorship of the Taranaki Bulls, Atlas Professionals invited the public to nominate and vote for Taranaki community-based charities to receive Points for Charity in early July. 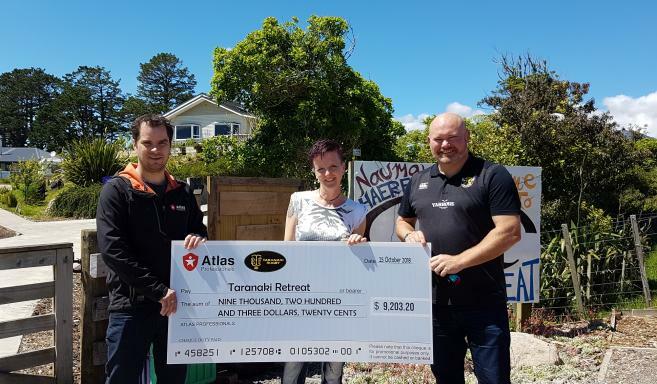 The Atlas Professionals team at the office in New Plymouth voted among the top 3 charities chosen by the public, with a unanimous decision to support Taranaki Retreat. 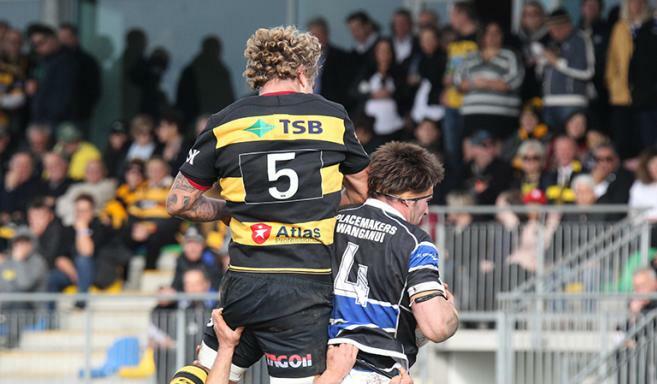 For every point scored by the Yarrows Taranaki Bulls in a home game, Atlas committed to donating $50 to the Taranaki Retreat. Alongside the Points for Charity donations, Atlas staff also volunteered their time to take gate donations for all home games, totalling $2,828.20. Atlas Professionals wants to thank all involved in fundraising during the Bulls’ home games. On Tuesday 6 November Retreat Coordinator Jamie Allen ran a workshop on ‘workplace mental health’ for Atlas Professionals New Zealand crew, staff and Atlas’ clients in recognition of the support Atlas has provided to Taranaki Retreat. “Given the nature of the oil and gas industry, I believe the information and tools that Jamie provided to both staff and offshore workers may prove invaluable to many,” David Bishop comments.